This is the home of the replay makers in Toribash. Replay making is all about the showmanship of your craft, and understanding the joints and movement you make in a very precise and accurate way. Here, we can break down each movement into a science and give you the guidelines to follow when learning Replay Making. From madmans, parkour, MAS, and more; you can learn it here. Periodically lessons, tutorials and content will be posted here for you guys. You can also post teacher/lesson requests in this thread. A replay attatchment is encouraged as a visual refference. After you've submitted your Request a Teacher will follow up with you. Be sure to check the times to see the best times for our teachers. 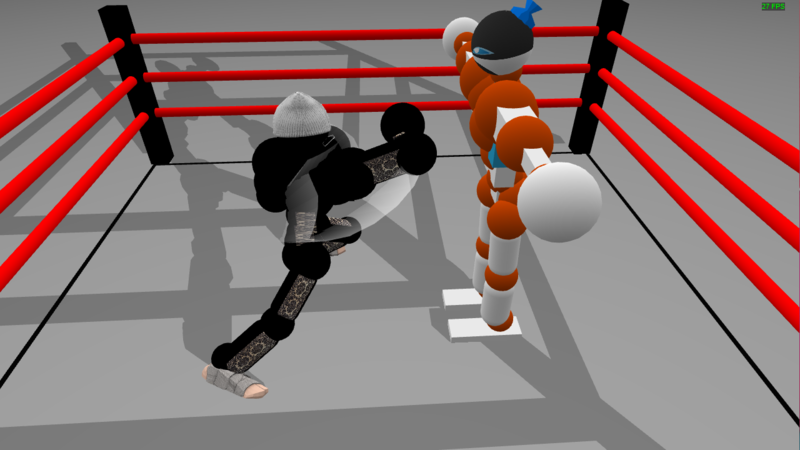 Last edited by tlclay; Nov 21, 2018 at 10:54 PM..
Sparring is the concept of incorporating realism and realistic based moves in a fight. The goal is to look "normal", or as if it's possible to do the same in real life. Sparring is more than just landing hits or grabbing the opponent, it's about learning the tori, understanding the joints and how they relate to each other, and how they can be used to move respectively. It's about both partners practicing their moves and it can take place in a variety of mods. Most time the mod is going to be xspar.tbm, but sparring can happen in any mod and is also different for every mod. Remember, its a spar so things like DQ, DM, and Fracs should be off. In a spar, knowledge is the most valuable thing you can have and it's the biggest advantage you can have. Knowing your situation and the resources you need to handle it will help develop your skills, there are no shortcuts. There's a lot of tips and tricks, but also hundreds of variations of every move, this is why learning a move step by step can slow your learning without a proper concept in place. The best way to look at sparring from my experience is from a "more or less" point of view. You should look at a move and think how can I go faster or slower, go higher or lower. After a bit of time doing this, it'll make you feel more comfortable in general. The idea is that you want to have variations of every move, You don't want to be forced to play uncomfortably, so knowing some alternations between your moves can help stop a bad thing. Instead of doing something completely new, you can use something you know to crutch; so if I learned a YouTube run, now I should play with different variations to make my own. The more you explore your options the better. It's like a tool you're adding to your tool bag. You may have several different wrenches, but only a couple will work in certain situations and some tools can be used for different things too; whereas the wrenches are moves for us. Once you start feeling comfortable you should be able to step out of the box some and play with new moves. This is what will define you as a sparrer, each person has their own unique or "custom" way of approaching certain things, but you don't want to stray too far from the basics. Always learn the proper form and then make it unique once you understand it. The people that skip this usually develop some bad habits, and bad habits are always hard to break. Your style is dependent on your interests, if you are more formal with aikido your style may involve a lot of those techniques. Its best to pick something you know already, so that you have a good idea what exactly your tori needs to do to perform that move. Nothing says, if you are new to fighting, or just want to explore something fresh, that you can't do a style completely new to you. It may make it a longer process but it could be more fun depending on the person. Styles can really get complex after you learn the basics. you can work on combining your knowledge and using everything you know all the time, or you can be moderate only using what you need. There's also a lot of variation between those two poles, and how aggressive or passive you use your techniques defines who you are as a fighter. Other opponents have styles also, and you want to pay attention to them, understand them and the advantages/disadvantages they have toward you. Styles are as diverse as personality and every person has their similarities and differences, the more people you fight, the more aware you will be in picking out these styles and be able to combat them. Co-op is all about the replay value and training qualities, just dependent on the goal at the time. In a co-op spar communication and talk is really key, and its a much more relaxed environment to explore ideas and be creative with your approaches. You want to find a good 'partner' for these types of things, you want someone committed to following fair standards that you both agree on before the match starts. You want to be sure you are both ready for every move because you guys aren't trying to kill each other, only look as if you are. Competition is all about the W. Its easy to get carried away and it recommended to focus on competition later after you've established your foundation. The pressure of winning can make you move in ways that you wont normally and destroy your realism if you don't control yourself. Develop your skill before you show them off. If it's a comp spar, realism still applies, however communication is much more limited. You don't have to hate each other, but moves don't need to be telegraphed and you don't have to confirm your hits. Communicate and know what the spar is gonna be about. Be respectful, don't cheap shot if it's a co-op. If you need help, tell your partner. It'll help you both if you both know what's going on. 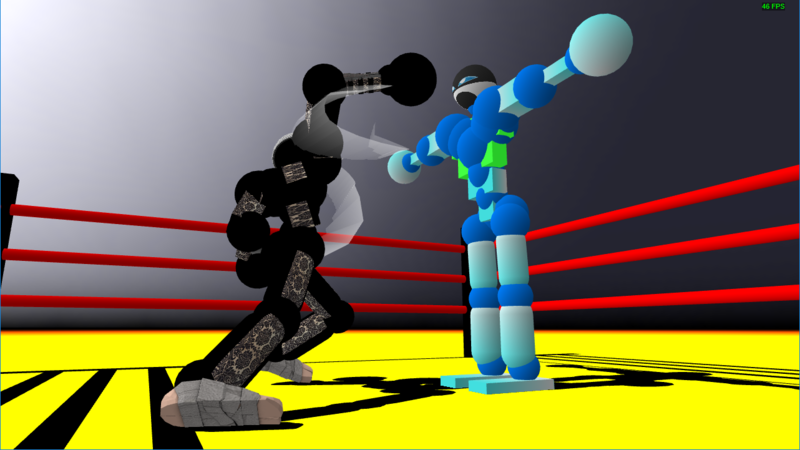 [R] Striking 101: What is a Punch? A punch is a way of transferring energy into your fist as a means of attack. Punches come in a lot of varieties, but the main thing that makes a punch is momentum. Still, momentum without a base is unstable, understanding your stance and footwork is pretty vital in your offense. The Chest is the major joint involved in punching, it's pretty straight forward in its function if you play with it some. It rotates left and right and generates most of the power. Even though the chest is powerful, it won't win you matches alone. It depends on your stance and foot work to make use of all the momentum it can generate. 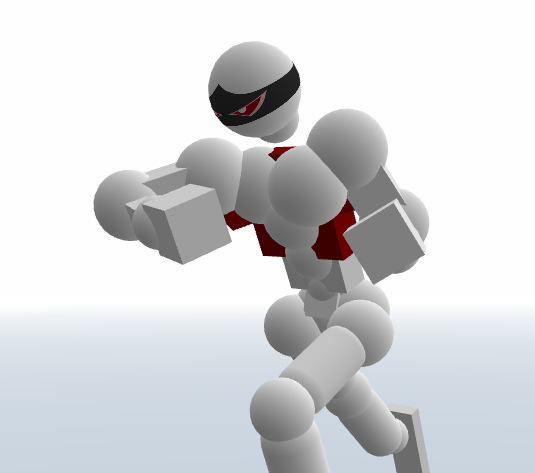 The chest really works best in combination with other joints to help, mostly involving the lower body. Everything stems from your legs and they help start the momentum you need but the chest will capitalize. You don't want to be overly aggressive with your chest either, it has a lot of weight and can change your balance substantially whenever its moving. A typical rule of thumb is only rotate the chest when your at least 70% sure your move will work out. There's other ways to save yourself that wont ruin your balance, so don't feel like its the only way. The Hips are the second major joint. 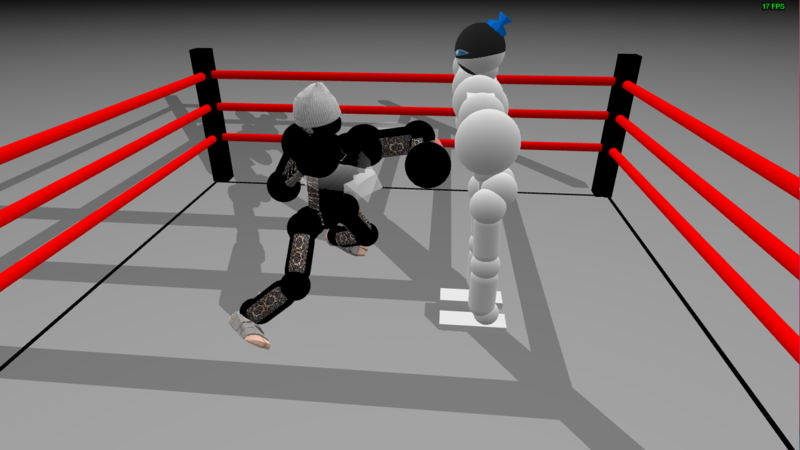 Hips add to the power and stability of a punch. 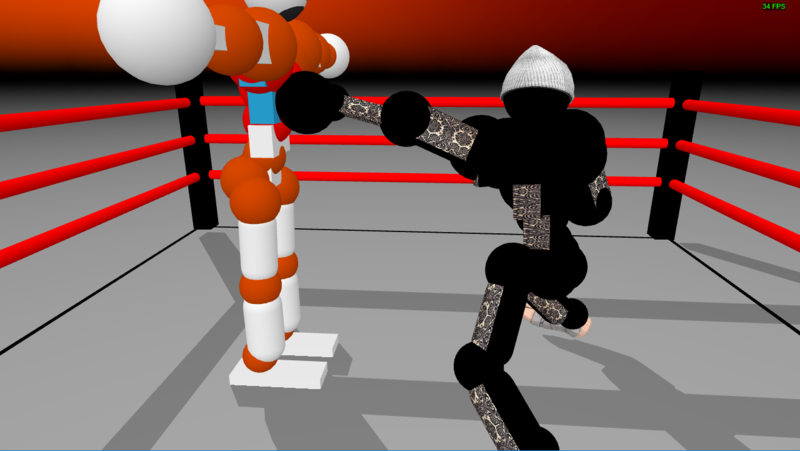 In boxing, hips are a part of the punching form. Ideally, you want to lead with your hips and follow with your chest. This just means you want you make a foundation for your punch to stay stable and be at its peak consistently through the swing. Hips are also the key to good offensive footwork, setups and balance. You don't want to overdo these, use them to start your rotation but don't pull for power punches from them. You don't want to forget these either, hips are how you move your legs to keep you feet and base stable under you. A simple formula when punching is : Contract the hip opposite to the hand you're punching with and extend the other hip. Contracting your hips pulls you forward while extending pulls you back. . Don't get stuck on the typical contract one extend other concept. It's just a reliable formula, but that doesn't mean its the best way every time. Balance always has priority over form. Next are Abs. These will change your forward and backward lean, which is linked pretty close to movement and how effectively you do move. Be careful because extending the abs too much it can easily set you off balance. Abs aren't as noticeable or extremely subtle when you use them, still they are handy to understand. Abs are like whip cream on a pie, not the main part, but not bad to have in the mix. You want to use them a lot for setups if you can. 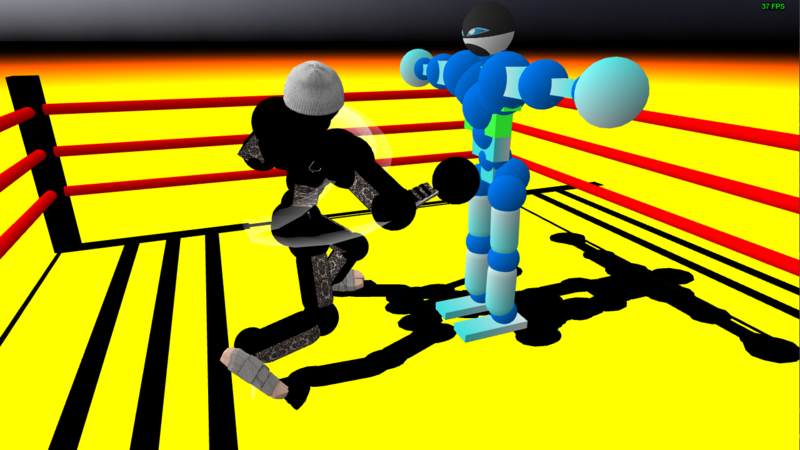 They can change the speed you lean in or out, or change the angles of your punches. Pecs are also one of the must knows in boxing. Understanding pecs and their relation to the timing and power of your punches and solidity of your blocks can set you apart from the crowd. Take the relation of pecs to the elbows for example, if you were to contract both, the elbow will fully contract first. So we know the elbow will naturally move faster than the pec. The same is true with the chest to pec relation. You can pull off various tricks understanding the timing and how fast certain joints move about, and most will be dependent on what situation you're in. Pecs are common when doing feints or forms or counterpunching and even parries, but be smart using them, just like the chest they can easily throw off your balance. 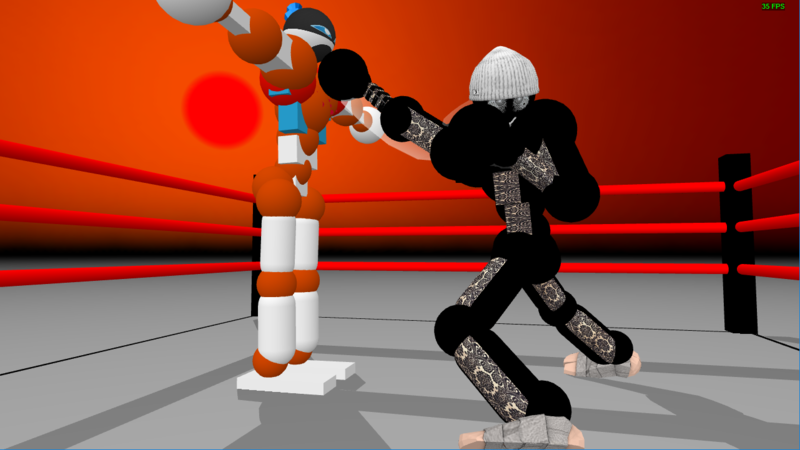 Knees are the one of the key balancing mechanisms in boxing. Try to keep them bent! Lol. Like real life we don't walk straight legged or in full squat position either, so it works similar in this game. There are still natural times they straighten or bend of course. Knees will play with how grounded your legs are. For most punches, you want your feet solid and stable on the ground, however when you need to move you can't keep both feet planted and expect you gain any distance. Using the knees is risky sometimes, but can be really rewarding. "Too early" and "too soon" apply a lot when it comes to when you should use the knee with your move. You want to pay attention to the ghost because it can give hints to what may work. Sometime "not at all" is the best solution, if you don't have to move and you are unstable you don't have to move. Setup first and go from there. A typical rule is to avoid extending a knee if its already touching the ground, try to lift the leg up and use extend to help place it once in the air. Elbows are super important. Without using your elbow you cant keep any guard or control over the length of your punches. At most times, especially starting off, you want to keep elbows contracted and close to your face only extending or contracting on for a punch. Like I mentioned earlier, they are faster to move than both the pecs an chest, so that speed can make a big difference. 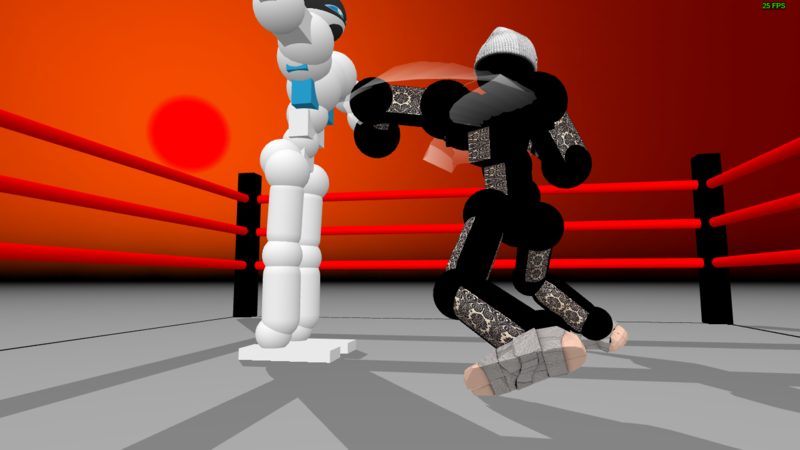 Typically, any punch that lands flush with a contracting elbow will be harder than not. That doesn't mean you always have to contract when you go to hit though. Take advantage of your opportunities as they come, learning to play with the range is a pretty strong advantage to have and can help you control how much an opponent can actually hit you while you still can hit them. Lumbar is in charge of your left to right lean. Not only that, but its also really close to your center of gravity. That means the lumbar can change balance a good amount. Like the abs the lumbar is more of an additive, in certain occasions the lumbar may become the MVP of joints, but it mainly helps counterbalance your moves by shifting what side you lean more weight on. Offensively, that 'shifting' from side to side can also be used as a way to create different and less predictable angles for your punches to come from. The Ankles do a lot but a little in the same. Each state an ankle joint is in can change the entire outcome of the move. At the beginning its best to just keep them contracted or held and slowly play from there. When the ankle are contracted, your tori wants to fall forward; while extending them makes your tori want to fall backward. This is mostly true unless your tori is already falling a certain way and is only constant if your tori is starting from a stable position first. So, if you say are falling backward, contracting your ankle wont save you, you'd need you move a leg behind you to catch you fall instead. Ahh...Glutes. One of the underrated joints to know. Glutes work in so many ways, from balance, to footwork, to punching power and more. If you can master glutes your games definitely going to a new level. Glutes are going to play with the angles your legs are working (like two lumbar joints for the lower body.) They will do pretty much the exact same things a lumbar can without having to move your upper body as much. For example, if I'm falling left, instead of trying to catch myself by leaning with my lumbar I can just take a step with my left leg and extend my glutes to make a wider stance. Glutes get unique when they are used with planted feet as well as in the air. 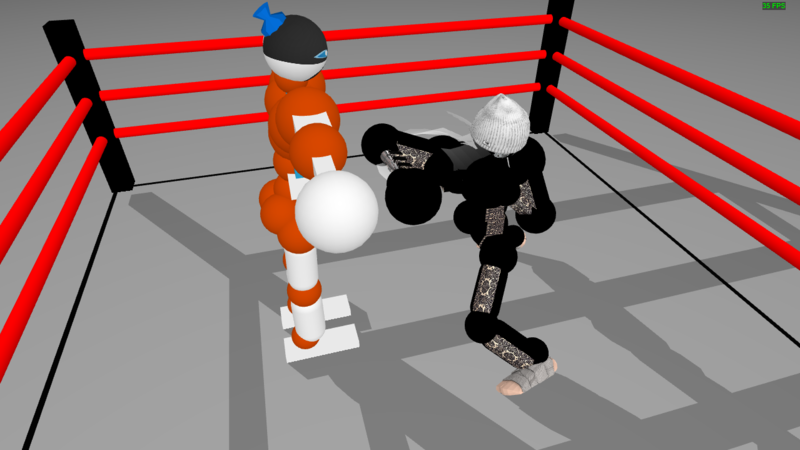 If you are planted and in a stance you can use the glutes to add power and a bit or torque into your punches by alternating states (One glute contracted, while the other is extended.) In the air you can both to pull your feet more under you while extending preps you to stance of start your offense. Each person has their preference with them and its really an overall unique factor. Wrists are really technical but they can do some fine tuning to you punches. You should be careful though, wrists are notorious for fracs if they hit wrong. Most times contracting the wrist will make the arm raise faster for a small cut to range. Relaxing could give you a little more range than normal but make the wrist easier to move and fracture. Extending is a mix of range and speed. You can always have those tricks handy to land tricky punches. Finally, the Neck. This is some crazy technical joint to be playing with offensively, but...for now, keep your chin down ;) The neck is really something to be use in a defensive manner. As in, you want you keep you head safe if you can and if that means moving your head you should. Offensive and technically its very subtle on the things it can do. A few thinks its more common for are; baiting, defense and slipping punches. as well as momentum adjustments. What is a jab exactly? The jab is probably the most important and versatile punch in boxing. A jab is a straight punch thrown from the lead hand that is primarily used for setting up combos, maintaining distance, distracting the opponent and other creative usages. You don't need to put that much power or force into these punches usually. As you can see, you want little hip movement for this type of punch. You should try to maintain as much balance as you can, so it can be the most effective. 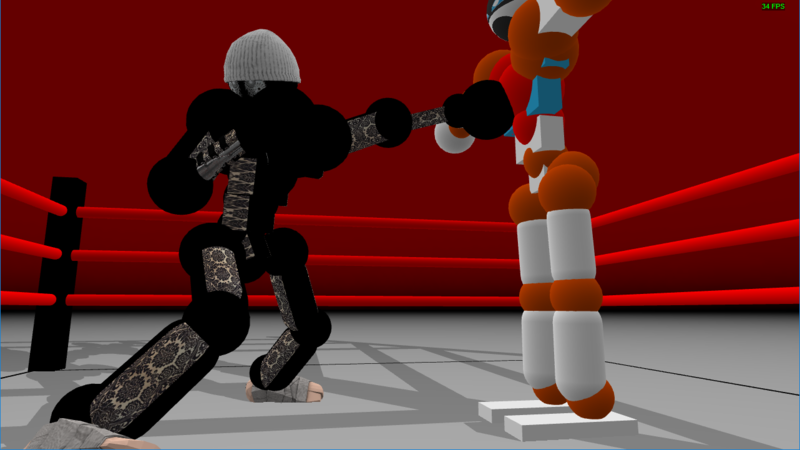 You'll also see how the torso is turned 90* from the start position, this is where the power will come from in a jab. Using your pecs to control what angle your jab hits can be pretty useful too. There is rarely a time when you lower your shoulder for a jab (if ever). Typically you want to use hold, relax, and raise joint states. Hold is just going to maintain a stable swing unless its setup before hand its no good. Relax tends to be a go to for many, it's a more fluid motion and. 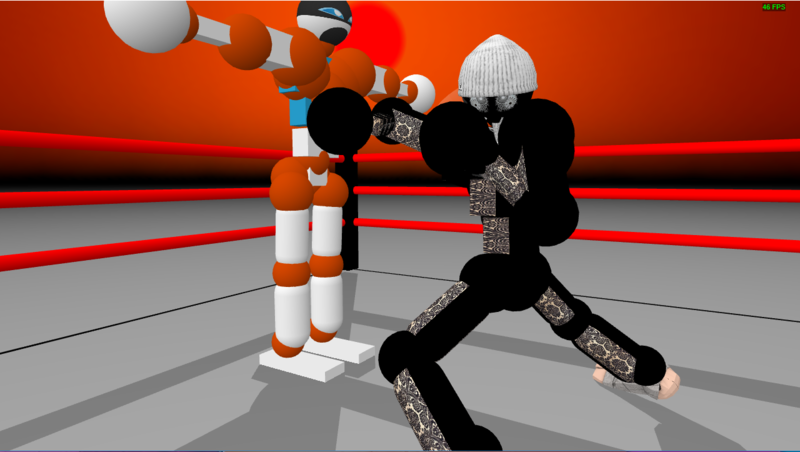 Relaxing raises the shoulder a bit so its usually great if you want to keep from telegraphing the jab too much. Raise shoulder will make the most power but there's a higher chance to overthrow it. If your planning on raising the shoulder you want to do it from a low position or with a decent forward lean. Get into your sideways facing stance, raise your lead arm’s shoulder (The arm at the front, facing toward your opponent) raise shoulder, extend elbow, relax pec, and relax/extend wrist. ~ Can be used as a “throw away” punch. What is a throw away punch you may ask? 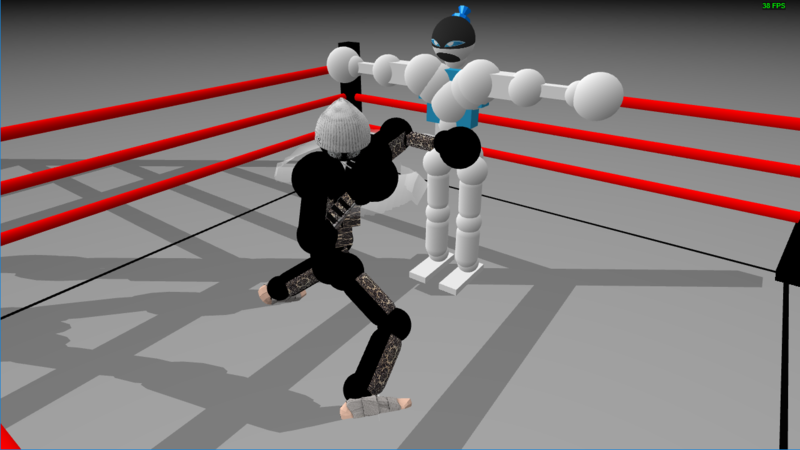 A throw away punch is a type of feint that eludes your opponent into the direction you want them to. You don’t need to put too much power into it as it just sets you up for your real punch. Basically you throw your arm out into a direction (usually with a weak rotation, like with a relaxed chest so you can pull your punching arm back for even more power) to make your opponent react to it and to secretly wind-up your other arm for the real punch. The straight is your #1 fallback punch. The straight is meant to be powerful, swift, and relatively safe. Using straights are great ways to keep your combos going, but can also be a strong end to any. For a good straight you'll need a little bit of hip work. Straights are all about timing, but should feel really similar to a jab upper body wise. 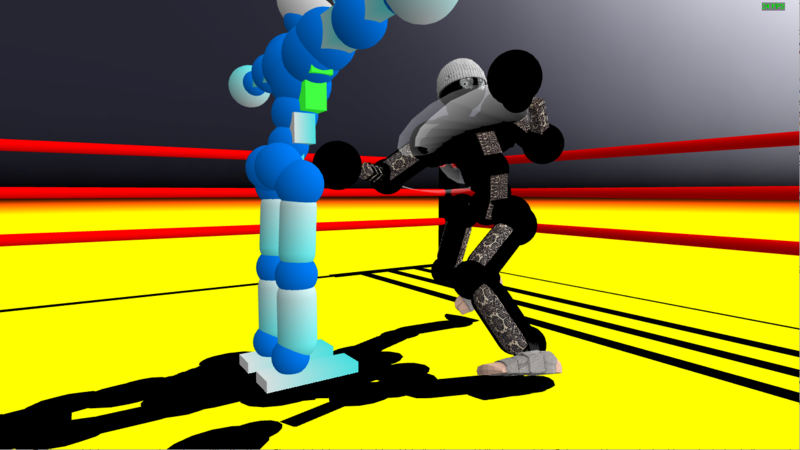 The main difference between a straight and a rear hook is the release of the punch. Hooks are a scoop or "hooking" motion, while straight-crosses take a straight path when traveling to your opponent. The straight is typically done from a proper stance with one foot forward. In the "ideal" straight you will give an instinct with your hips, contracting the lead hip and extending the rear. 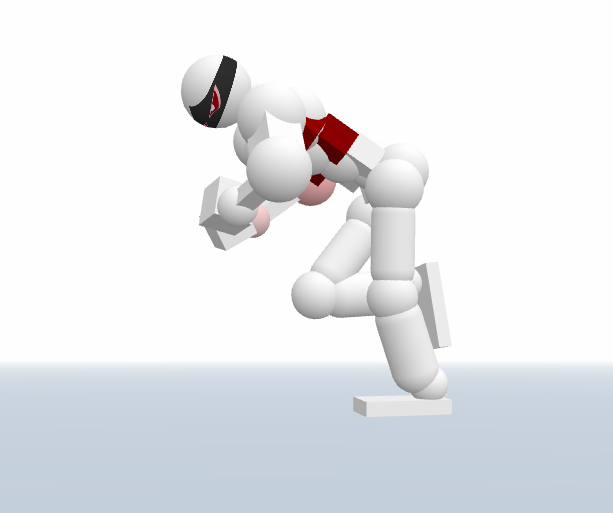 This starts a whip effect, making momentum travel from the legs and hips, up the torso an through the arm. 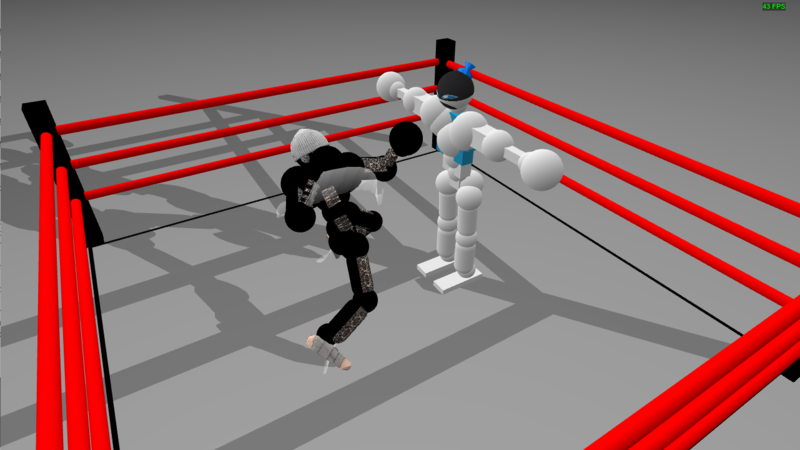 This is the punch that has the most variations, and is the most common punch thrown in toriboxing. Devastating and quick, the hook has a lot of uses for close to mid-range fighters. A hook is all about damage done, so it is also risky, you sacrifice a lot of balance for power, but if you hit there's usually a big reward. Whenever you throw your hook you should try to have a wider stance to keep you stable. Like all punches it starts with the hips, so twist, then rotate. Start with a wide stance, twist your chest towards a direction, raise your shoulder, either extend or relax elbow, and either contract or extend wrist. The hook is the easiest punch to throw in this mod, it’s also one of the most powerful punches there is ;). 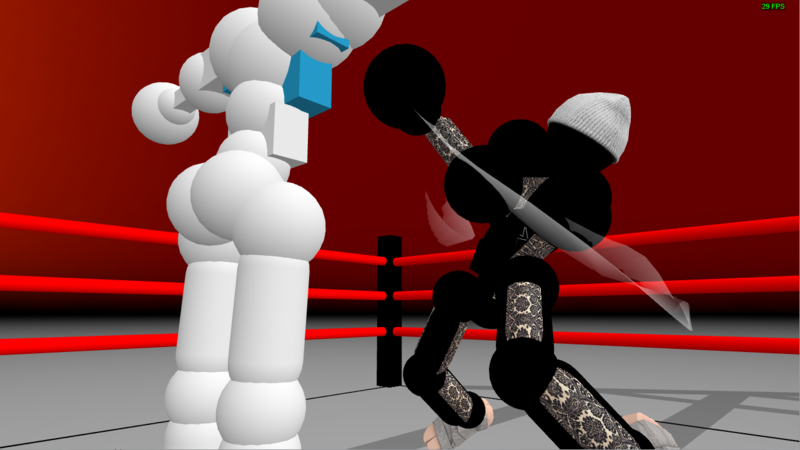 The uppercut is risky and hard to perform and connect with. Super close range uppercuts can be devastating, so don’t get too close when fighting against a great in-fighter. 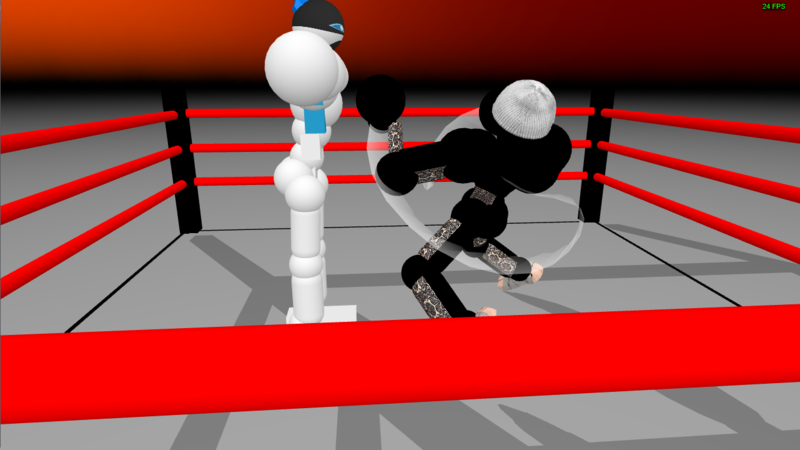 An uppercut can leave you very open especially if you miss, but also a traditional uppercut can give you great angles to punch from that are hard to block. Understanding the uppercut is about understanding when and how to use it best. 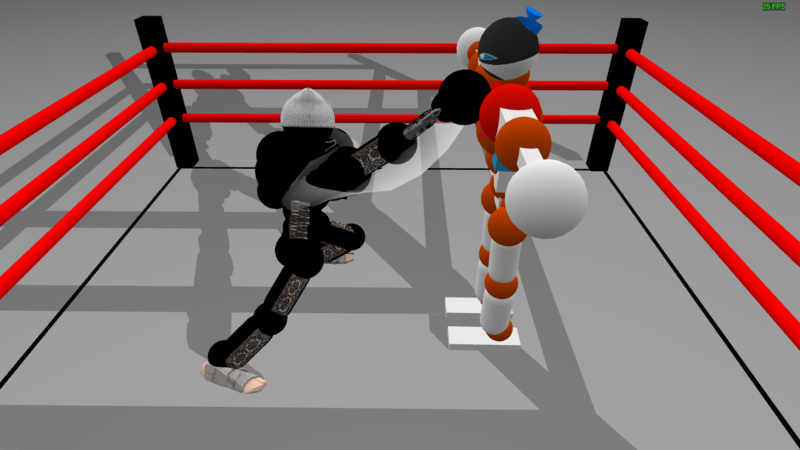 As you can see, a proper rear uppercut relies on the lumbar mainly to create that low angle, while the lead uppercut uses the back and lumbar together. The uppercut is meant to hit the lower torso or the chin so it needs force to pushing it upward, that's why most people will try to get their hips in front of them rather than swing into the punch. It creates stability and counterbalances the punch enough to have good power. Whenever you do throw an uppercut, don't expect it to be like mortal combat and the opponent flies out of the ring, have a plan. The uppercut is still risky so throw them in combos and try not to end combo on these if you can prevent it. First off, try leaning towards a direction using your lumbar and glutes. So if you lean to your right, extend your right hip and contract left hip (We’ll be using the right side this time, it’s exactly the same on the left side too so don’t worry). You’re gonna want to contract your elbow from the arm you’re punching from If it’s already contracted then you can hold the elbow joint (It can reach farther targets and has slightly less delay when you’re trying to do a punch angled upwards. Afterwards twist your chest to your left and make sure the hand is close to the face and ready to block incoming strikes. You can relax your punching arm’s pec to alter timing or if you're really close you can contract it so it’ll land on target faster and utilize both your chest and pec for increased power. ~ Don’t throw them often, they’re very open to all kinds of punches I’d recommend throwing them when you’re really close to your opponent. ~ Uppercuts are great for when you’re falling over to one side and you can’t punch your opponent, most of the time their angle is diagonal so that means It’s hard to dodge or block a close ranged uppercut, and this also means a compact uppercut will most of time land on an opponent that’s at your side where you can’t reach. ~ After you throw an uppercut, follow up instantly to avoid counters. You want to use your lumbar to lean to the inside (ex: while punching with your left you'll also bend the lumbar to the left to cover your body), extend the wrist, and with the elbow slightly bent, hit the space between the hip and glute of your opponent. You can contract the elbow in an attempt to get more power, if you do then make it a touch. The turn after you hit the opponent rotate into the opposite direction: this will make you go back into guarding position almost instantly). 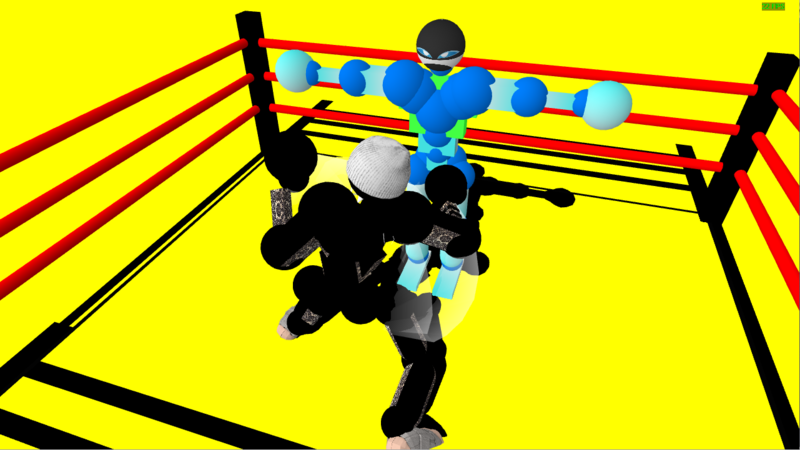 With enough power you'll do a critical fracture the opponent's lower body. The most brutish punch in boxing...the Overhand. This will always be your most powerful punch. 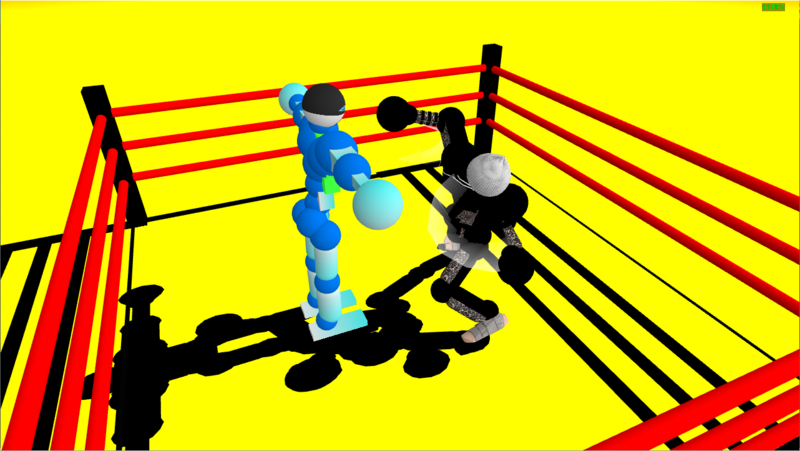 Its really similar to an uppercut, the main difference is instead of going for the chin or the stomach, your aiming for the head ;) The best thing about an overhand is that you don't have to worry about counterbalancing so much, gravity will take care of a lot of that since you'll be swinging with a downward angle. In this punch you really throw all your momentum into it, leaning over the lead leg and getting that punch coming from a high angle. That's really the trick to these making them so strong, the angle of approach makes it hard to block and the power of them can easily frac various joints. These are haymakers though, they aren't meant to be throw away punches. Take some time to set these up first if you try to rush and throw when your not ready, you're just going to make it harder to balance your tori and deal damage. it would be awesome if we had replay examples for those styles, don't ya agree? What is the first step to learning a run? 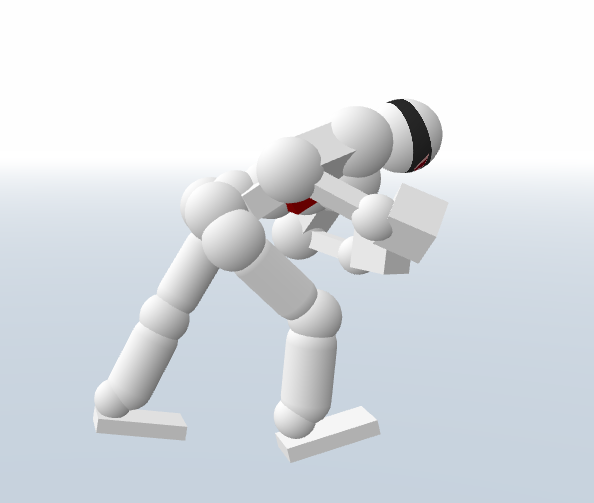 This position is going to represent the base/default position or “home” we will use. Notice the hips abs create distinct angle (135&deg;). This transfers your toris Center of Mass (C.o.M.) in front of the hips and the knees. The relation of the legs and the floor is also important to note; You want your legs to be 90&deg; from the ground. This involves your C.o.M. 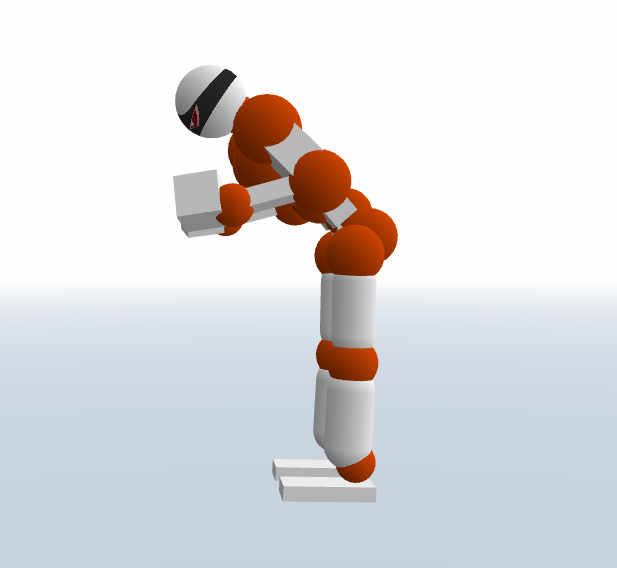 as well, the legs being at this position will act as a neutral or grounded point between you and the ground. .
Notice how the legs are off the ground. 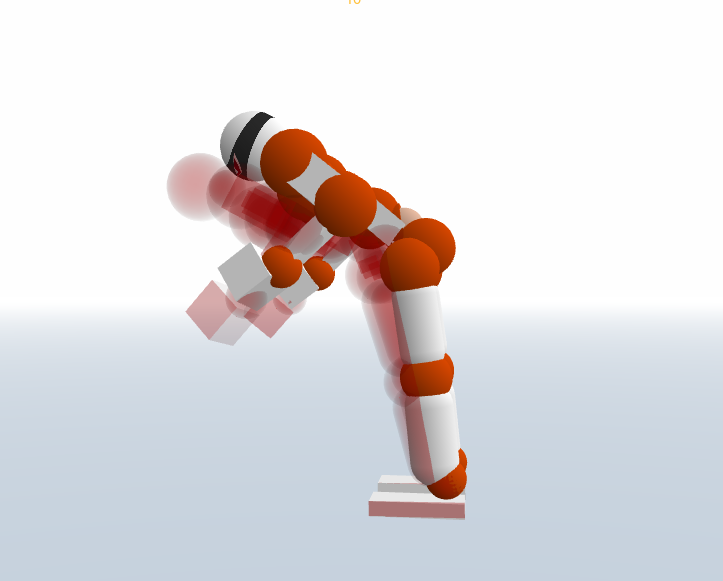 This means there's no stable point and the center of gravity moves behind the knees. Most likely you'll want to instinctually extend your hips to counterbalance. This isn't ideal for what we want, rather we want a smooth and controlled Launch. If this is happening, try to tone down the power in your hips and let your abs do more of the work. This is a good example of a similar situation. Here the legs are keeping a proper angle, but the torso is way too low. This simply means you need you stop you contracts just a bit earlier and should be fairly easy to fix. We will call this the “Launch” or ready position. The purpose of this is to fully ‘set’ your fall forward, as in, you will need to move your feet somehow to maintain your balance on two feet. From here you can start your stepping motion, a few things you’ll want to note from here on is over/under extension. These guidelines will be later in the document with the joints and situations in reference, so for now you want to be aware of a few key things. The angle of your back should stay pretty consistent throughout your run from your launch. If your back is going too much off the angle it is a signal that you are overusing some parts of your legs. Be wary of your first step length also, its fairly easy to bring the leg up too high from a more stable position (Relaxing your ankles can make your fall faster). 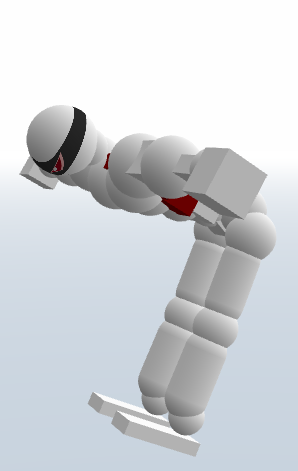 Your leg should be about at about a 45-70&deg; angle from the ground as a reference for the math-heads. Continuing a step is fairly simple, however you need to learn where to place your steps more importantly. If you take too big of a step you’ll notice you slow down and eventually will fall backward, in the opposite, taking too small of steps will introduce your head texture to the floor. The key is placing your step near the “hotspot”. This region is near your center of mass and will transfer the energy more equally. Notice it's similar to the launch position. Notice the foot is slightly forward or directly below the abs and lumbar, which is also the C.o.M. 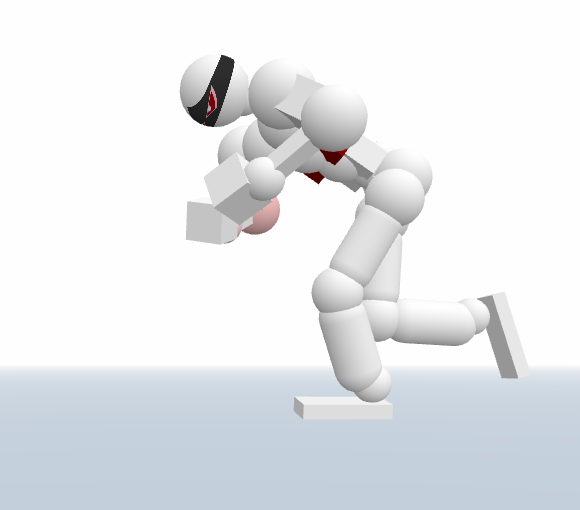 This image show the pecs being used in a full stride. Notice when you contract and extend two similar joints there is a bias force that rotates you toward the side being contracted. This is how you understand more what joints are causing an issue for troubleshooting, but that's a deeper topic that may be overwhelming, for now we will keep in mind the concept and areas used in the example; Pecs/Chest and the Hips. Timing the motion of the pecs is tricky, but relax can be a real friend here. If it seems like your tori is getting too much power in the pecs to can relax one side, or both. Typically your pecs will follow the correct motion while relaxed until they become fully extended/contracted, at this point they lock and will offset your balance. You want you use the pecs to control the motion more than force them to swing. For example, you may only need to contract for 10-20 frames and relax that pec until your next step. A lot of reasoning goes into your step and how big your step is going to be. For smaller steps you will need little to no swing while for long strides you may need a full swing. You never want to make a habit of extending on one set of frames then contracting the next, separate it with one set frames relaxing the joint, this will break the tension placed on the joint and allows you to move with less effort. (Set of frames => 10tf.) Remember follow your ghost and pecs are only a supplement to balance, you don't always need to use them and as you gain experience and practice you will develop consistency and fluidity. Also mentioned was the chest, however this joint should be avoided more often than not. The chest is a very powerful joint and can rotate both sections of the body in opposite directions. In other words, it does everything the hips and pecs can combined. This joint is a hassle and usually once you’ve committed you moving it you will have to for the remainder of your run. It however can be finely tuned for aesthetic purposes. Now the simple foundation of a step is simple but there's several issues you can run into along the way. As stated before you want to keep your torso at about the same angle throughout your run, lets cover the basic ways to do so. Here are several examples of the combinations the hips can be used in. There are various situations and usages for each, however we want a straight and steady run, so keeping an eye on the torso is the main idea and reference for when to use each combination. You should note by now the hips have an interesting effect on the upper body, this is a great indicator to use. When you extend the hips fully, your torso goes upward (increases angle), the point where your torso begins changing angles up while running starts the ‘overextension’ and means you need to stop some of the power. If your torso is changing angles downward this is a sign of ‘under extension’ and that you need a bit more upward power. This applies if you have proper foot placement mainly however can be use as a method to recover your footing and balance. Focusing on maintaining your torso will help take some of the guesswork out of planning your steps. < User discretion advised > these joints, if you don't understand will make your life suicide playing with aimlessly. The chest, lumbar and glutes are the kingpins here. They are so risky because of their nature, they are powerful. On top of that they all change the weight distribution a good amount. These joints do however play a big role in one thing..Turning. Using these joints in sequence you can plan a direction to turn your momentum or to rebalance yourself, even to stop your run for a move if done proper. Notice how the lumber seems to make an "S" shape while I'm changing the direction of my run. This is the pendulum effect and I'm slowly bottlenecking my momentum back into a straight path so the force my steps don't spin my tori. The key is shifting your weight, you’ll need to use you lumbar to aim the tori in the direction you intend to go, this will give an “instinct” or subtle force in that direction. 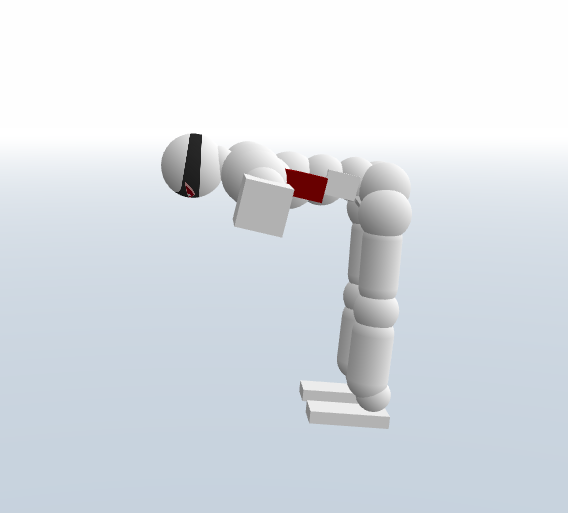 In the example you see I change my momentum mainly by using my leg as a brace. It acts as a solid object and forces the momentum to escape in another way (a.k.a the way you instinct). The torso and lumbar build a lot of tension trying to turn and while you can turn without the chest, it helps the movements flow and may save you a bit of struggle to relax them a bit while bracing your weight and transferring the momentum. The main thing is that you try to get the joints back to running position and this should be thought of as a as a quick move or maneuver, with your run being the foundation and where you want to return. The lumbar itself shouldn’t have many instances of use especially without the glutes being used also when running straight. You ideally want to stay balanced in your sides (horizontal axis), and using the lumbar will in most scenarios throw that balance off. The same is also pretty true for the glutes, the only difference is that they are lower on your tori and weaker in comparison, and the weight they have is just a bit less. All that means is the changes they have will be somewhat more subtle force wise. The unique thing about them is the provide a larger range than the lumbar alone. Using them along with the lumbar will cause them to counterbalance each other, while still moving your tori where you need. For the instance, if you don’t want to change your weight, and rather you want you move joints without affecting you balance substantially, this would be a good method. Well now were at the point where you've got all your run but you're just missing something? The Flow. There are a few key tips that will help you look awesome while running. - Remember the elbows. When they are closer to your body it makes it easier to balance than being spread out. Try not to let them extend past 90&deg; to avoid a noticeable difference. - Relaxing joints relieves tension. At first, its hard to spot the areas that are building tension, but a good method to use is relaxing your joints. This lets you see how your tori would move freely and adjust how you need to. You can always use 'ctrl+z' to revert back to your previous move. - It's easy to forget about the neck. It plays a slight role in you balance. If you use the neck to keep your 'eyes' on your target it will really help your posture. Alongside that its a small added touch to the replay value. - Shoulders take a bit of finesse. You want to let the relax through your run, and pull them close as toy are going into another step. They shouldn't raise to far us so with each step you will have to monitor their position. Last edited by tlclay; Mar 2, 2019 at 08:56 PM..